Jussi Björling was born in 1911 in Borlänge in the Swedish province of Dalarna, 220 km NW of Stockholm. His father David was a tenor and singing teacher and trained the voices of his children from an early age. Already in 1915, his three oldest children, the boys Olle, Jussi and Gösta, made their first public performance in a church. They toured extensively with their father in Sweden and 1919-1921 also in the US, where six recordings were made in 1920. David Björling was a tenor and singing teacher, and trained the voices of his children from an early age (Olle, Jussi and Gösta). In 1928, Jussi began his studies at the Stockholm Conservatory and in August 1930, he could make his official debut at the Royal Opera in Stockholm in Mozart's opera Don Giovanni. Already in 1929, he had begun to make recordings as a tenor, and in 1930 he made his first opera recordings. In 1931, Jussi Björling had a breakthrough outside Sweden with a recital at the Copenhagen Tivoli. He continued to sing at the Stockholm Opera (e.g. Guillaume Tell & Barbiere di Siviglia 1931, Rigoletto & Elisir d'amore 1932, Traviata, Roméo et Juliette & Tosca 1933) and made many recordings in Swedish, mostly of popular and operetta songs. He even recorded dance music under the pseudonym "Erik Odde". Jussi Björling's success steadily increased at the Opera in Stockholm, where he took on many new roles (e.g. Ballo in maschera, Faust, Bohème & Fanciulla del West 1934, Cavalleria rusticana, Aida & Trovatore 1935, Pagliacci & Madama Butterfly 1936). In 1936, he made his first tour to Central Europe, and had great success in opera and recital in Czechoslovakia and Vienna. This brought him his first international record contract, and he began to record opera and songs in the original language. One of his first international recordings was "Celeste Aida". In 1937, besides singing opera in Stockholm, Jussi made a longer tour to Germany, Austria, Hungary and Czechoslovakia in the spring. In the autumn, after having given his first recital in London, he went on to the United States for a tour which included radio concerts, recitals and his American opera debut in Chicago. In Sweden, his great popularity was demonstrated for instance at his regular open-air recitals at Skansen and Gröna Lund in Stockholm. 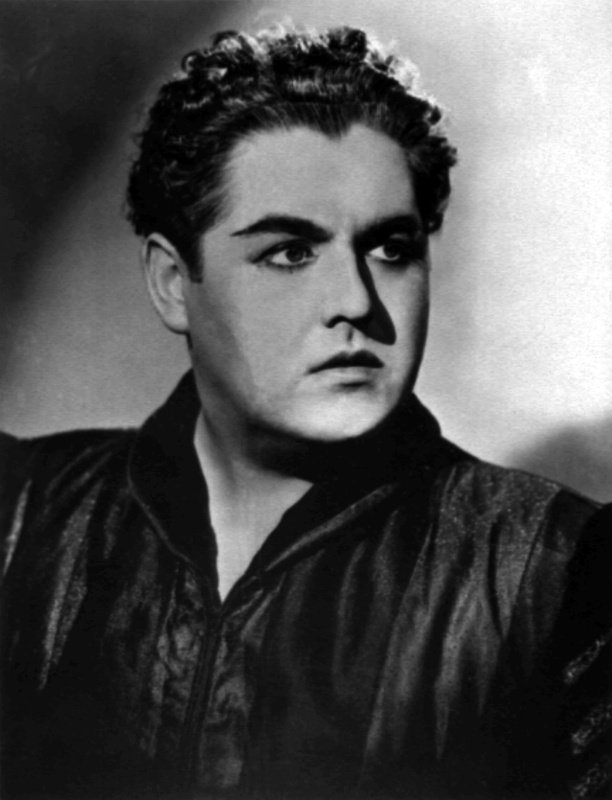 In the autumn of 1938, Jussi Björling went back to the United States and had his debut at the Metropolitan Opera in November (Bohème). He would then return to that opera house as a leading tenor almost every year, with an exception for the late war years. Jussi Björling sang in two operettas in Stockholm (Fledermaus 1935, Zigeunerbaron 1938), and he made famous recordings of operetta songs, among them one of his favourite encores "Ich hab' kein Geld". In 1939, Jussi Björling's permanent contract with the Royal Opera in Stockholm expired, but he often returned to that opera house as a guest during his whole career. He made his opera debut in London in May (Trovatore), and a little later he gave a radio concert in the Netherlands. In August, he sang for the first time under Arturo Toscanini, when Verdi's Requiem was performed in Lucerne in Switzerland. Another of the soloists was the Swedish mezzo Kerstin Thorborg. In the autumn of 1940, Jussi Björling made his opera debut in San Francisco (Bohème), sang two concerts in New York under Toscanini (Verdi's Requiem & Beethoven's Missa Solemnis) and opened the Metropolitan Opera season for the first time, as King Gustavus III of Sweden in Verdi's Ballo in maschera. In the spring, he had made his first recordings in the USA, where he demonstrated his ability as a lieder singer in several Schubert songs. After he had come back to Sweden in the spring of 1941, Jussi Björling remained in Europe and mostly in his native country for the rest of the World War. His most important appearance abroad was his Italian opera debut in Florence (Trovatore) in the spring of 1943. He toured extensively in Sweden, partly as a field artist, and appeared many times on Swedish radio. In October 1945, Jussi Björling returned to the USA after the war for an 8-month tour, and in the next years he spent a large part of the year in America, singing in opera and concert. However, much of the summer was always spent in Sweden, at his summer home on Siarö in the Stockholm archipelago. In August 1946, he sang for the first time with the La Scala ensemble in Milan (Rigoletto at Sports Palace), and in May/June 1951 a second time (Ballo in maschera). Beginning in 1947, he often had his wife Anna-Lisa, an opera singer whom he had married in 1935, as partner in concert and a few times also in opera. In 1949, Jussi took on a new role, Des Grieux in Puccini's Manon Lescaut, and the next year another one, the title role in Verdi's Don Carlo, which opened the season of the Met. The first of his many recitals at Royal Albert Hall in London took place in 1951. In 1950, he began a series of opera recordings in New York, of which the "Pearlfishers duet" with Robert Merrill, recorded 1951, is certain to be the most famous one. In the spring of 1952, Jussi Björling made the first of what would eventually become 12 complete opera and oratorio recordings, Verdi's Il Trovatore. In 1953, Jussi Björling once more opened the Metropolitan season, this time in Faust, but this was followed by a period with voice problems caused by laryngitis. Jussi Björling's only appearances outside Europe and America took place in the autumn of 1954, when he made a concert tour to South Africa. In 1955, he sang for the first time at the Lyric Theatre (later Lyric Opera) of Chicago, to which company he later often returned. Puccini's Bohème was an opera which Jussi performed much more than any other work in his repertoire, and the complete recording which was made in New York in the spring of 1956 is one of the most famous opera recordings of all time. During the last years of his life, Jussi Björling continued to sing much in the USA, though he was absent from the Met between April 1957 and November 1959. He began to suffer from heart problems, but still had a hectic schedule. In March 1960, he sang his last performance at the Royal Opera in Stockholm (Trovatore), and later in the same month returned to the Covent Garden Opera in London for the first time since 1939 (Bohème). His very last opera performance took place in San Francisco with the Cosmopolitan Opera ensemble on 1 April 1960 (Faust), and his last recital at Skansen in Stockholm on 20 August. Early in the morning of 9 September, Jussi Björling died in his sleep at his summer home on Siarö. Recordings from the last months of Jussi's life demonstrate that his voice and artistry were not influenced by his illness. It happened that the last commercial recording he made, in June 1960, was Verdi's Requiem.